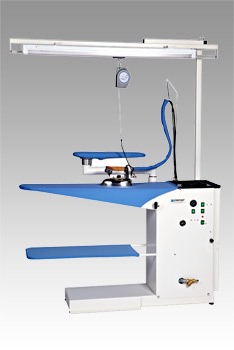 Model 604: heated, suction ironing board with sleeve arm pressing shape. 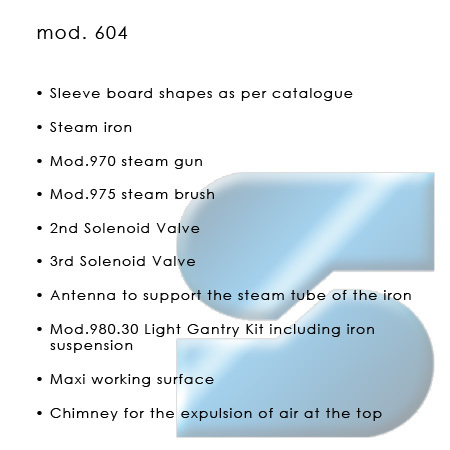 Featuring an internal steam generator the Mod.604 can supply steam for up to two irons and a steam gun. 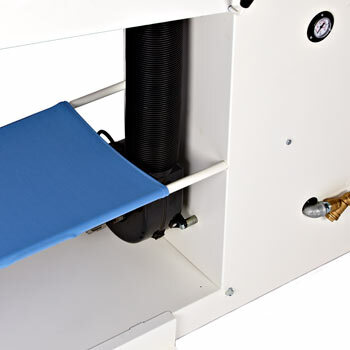 The steam generator automatically controls the water level using a float system and also features two safety cut out devices to protect the heating elements against high temperatures. The water pump automatically fills the steam generator when required. There are individual, external power switches for the steam generator and irons, there is a warning light “emergency” in case of damage. Other features of the Mod.604 include a lever ball valve for easy maintenance to drain the water, adjustable solenoid valves. 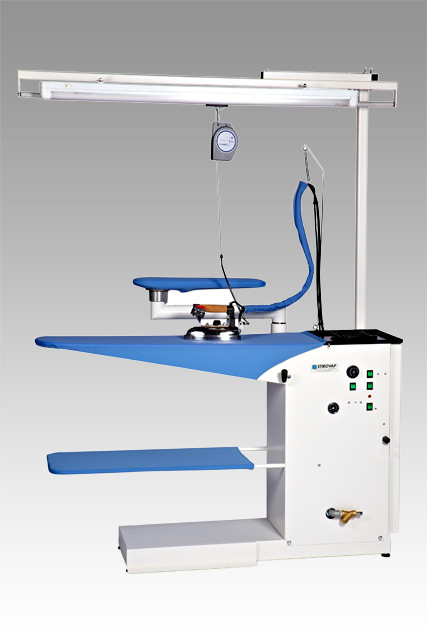 Solid and reliable, thanks to the powerful suction motor the ironed clothes are always dry, reducing significantly the production time and costs. 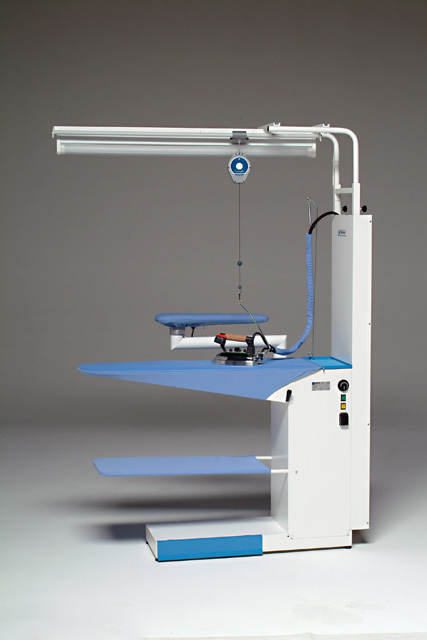 The compact size make it suitable for laundries, dry cleaners, fashion houses and hotels with minimal working space required. Mod.604 A/S: Built to the same characteristics as the Mod.604 with the additional feature of an extra vacuum motor to allow both suction and blowing. This feature does not require compressed air to work.